Finding the right company to handle your relocation project isn’t as easy as one might think, especially with so many unlicensed and unqualified movers flooding the industry. To make matters worse, many of these are scams are run by deceptive con-artists hoping to take advantage of unsuspecting consumers during such a vulnerable time. As one of the top-rated moving companies in the area, Liberty Movers has helped plenty of customers recover after losing time, money, and patience to fraudulent companies. Here are some useful tips from our team of local movers that will help you recognize moving scams and take steps to avoid them. Any reputable moving company is guaranteed to be busy, and trying to book a last-minute appointment for their moving services can be tough. At Liberty Movers, we recommend calling us to schedule a free moving quote at least one month in advance or even earlier if you’re moving in the peak months of the spring or summer. Scammers are particularly adept at taking advantage of desperate, last-minute customers who are usually stressed-out and distracted by the chaos of moving. Planning will help you keep a clear head about contracting local or long-distance movers, while also increasing the chances that a reputable company will have an opening for you. Avoid getting drawn in by impossibly low moving rates or over-the-phone price quotes that sound too good to be true. Many fraudulent companies make their money by luring in customers with irresistibly low prices, binding them with a shady contract, and then using dishonest tactics to jack-up the price on moving day. Often, these companies will hold your belongings hostage if you refuse to pay the exorbitant bill and can disappear with them forever if you threaten them with legal action. A trustworthy moving company will offer free, no-obligation, in-home pricing estimates that are personalized to suit your moving needs. They’ll also provide a clearly written, detailed contract that outlines the exact services you’re paying for. Some moving companies require partial payment upfront, while others do not. If a moving company asks for a down payment, use a credit card—not cash—for extra security. If the moving company requests cash only, walk away. Chances are, they’re not professional movers and are trying to take you for your money. A reputable moving company will never ask you to pay for services in full before your relocation takes place. Many scam artists lure in customers with dirt-cheap rates on pop-up web pages, allowing them to book a reservation and pay upfront for services at once. While it may seem like you’re getting a great deal, the problem with these companies is that they probably don’t even exist, and chances are, they’re not likely to show up when you need them. If they do happen to show up, it might be to load up your belongings and disappear with them for good—an unfortunate situation that happens far too often. Interestingly, the internet has made it easier for scammers to prey on consumers with temporary websites and internet ads. At the same time, the internet has made it easier to tell the difference between the good movers and the bad ones—which is why internet research is of the utmost importance when trying to find quality movers and avoid moving scams. DO make sure they have a full website with plenty of information about the company and an active social media account on Facebook or Instagram. DON’T make any payments over the internet, especially if their internet presence is weak or practically non-existent. DO search the company name for mentions on third-party sites like Angie’s List and the Better Business Bureau. DO look for reviews on sites like Yelp and Google. If a company doesn’t have any reviews or has very few, it’s a red flag. Also, avoid companies with low ratings. Even if they’re not outright scams, they’re probably not very professional. DO look for agency affiliations with national moving chains, like Bekins Van Lines. These companies go above and beyond to meet strict customer-service requirements and quality assurance standards. Moving scams have been around for decades, and it’s not hard to see why. When we hire movers, we’re essentially welcoming strangers into our homes and granting them the power to take over our worldly possessions, if only for a while, leaving us open and vulnerable to being deceived. 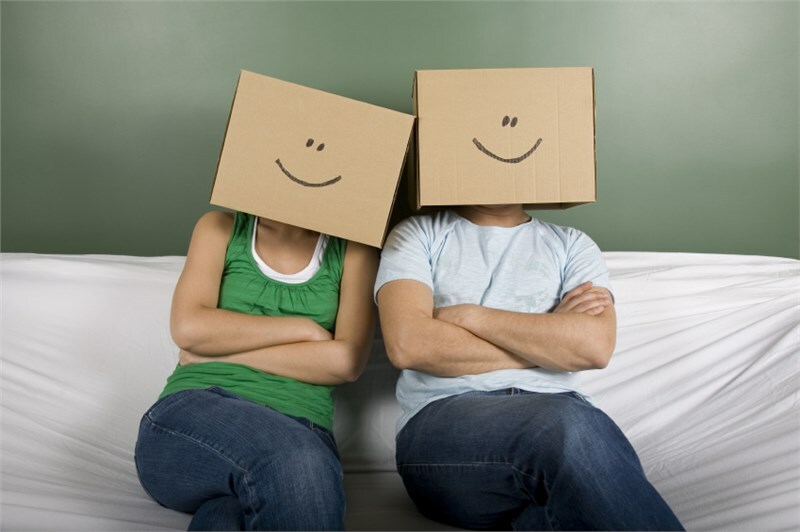 The good news is that trustworthy, honest moving companies do exist, and we would know because we’re one of them. Since 1920, our team of friendly and helpful local movers at Liberty Moving has been dedicated to serving the Massachusetts community with the highest-quality relocation services and award-winning, personalized assistance. Place your trust in almost a century of our proven excellence in the moving industry. To find out more about the superior moving solutions that Liberty Movers offers for your upcoming relocation project, let us know by giving us a call. You can also schedule a free, in-home pricing quote by filling out our online form.